Many of you have probably at some point or another searched Google for an image and used it for whatever purpose you required. Additionally, most people who use a photograph do not consider who the owner of that image is or the effect that using another persons work can have. Further, some of you may be photographers yourselves who have seen your works published on social media, used in advertisements or some other use without your permission. Even if you haven’t noticed your works being used elsewhere, chances are they have probably been stolen and spread around the globe. Vincent Khoury Tylor is a landscape photographer in Hawaii who is best known for his bright and colourful photographs of Hawaii’s tropical and lush scenary. Mr Tylor makes a career out of his photography by selling prints on his website. However, Mr Tylor found out that one of his most famous and popular photographs, Waikiki Pink Boat, was used by Melbourne Travel Agent, Serpil Sevin for her online agency Home Away Travel. 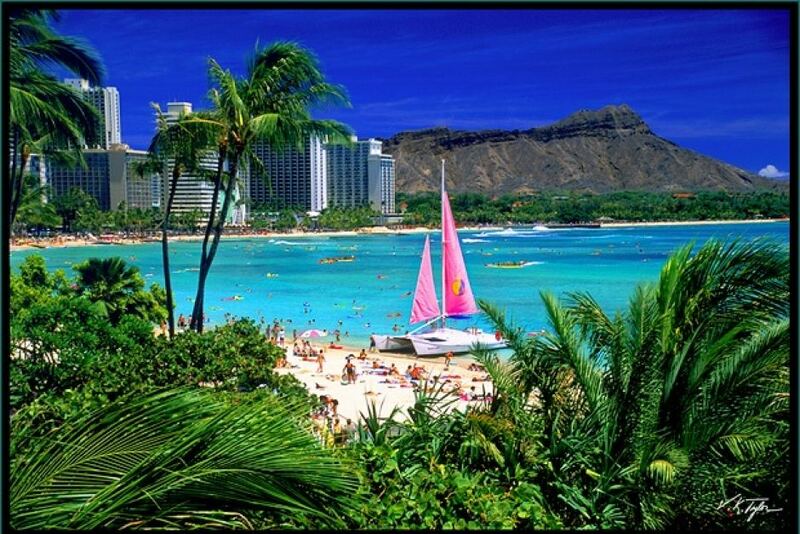 The image was used to advertise a trip to Hawaii. In February 2014, the Federal Circuit Court of Australia decided on the copyright matter and awarded Mr Tylor $23,584 in damages. This was a landmark case in Australia in regards to photographers rights. Now for many photographers out there, this may seem like a fantastic win and you may be wishing to rush off and sue for your work. The story isn’t over yet. A year later, Mr Tylor had not been paid yet. Winning a case and getting the deserved compensation from the case are two very different things. Forcing payment can incur extra legal fees which erode the sum of compensation received. An example of the perils that you may face comes in the form of Haitian photographer Daniel Morel. Mr Morel captured images following the 2010 earthquake that shattered Haiti. An editor at Agence France-Presse (AFP) saw the images on Mr Morel’s twitter feed and sent the images to Getty Images which were immeditaley passed onto Getty Clients including TV networks. While Mr Morel sued and was successful in his claim against AFP and Getty, the jury awarded the maximum statutory damages of US $1.2 million. However, by the time the battle had finished, the fees Mr Morel faced amounted to US $2.5 million. The Court denied the motion to recover this from Getty Images and AFP. They stole my photo! What can I do? Having your work taken is very easy in this day and age. If images are accessible online, they are accessible to anyone and everyone. 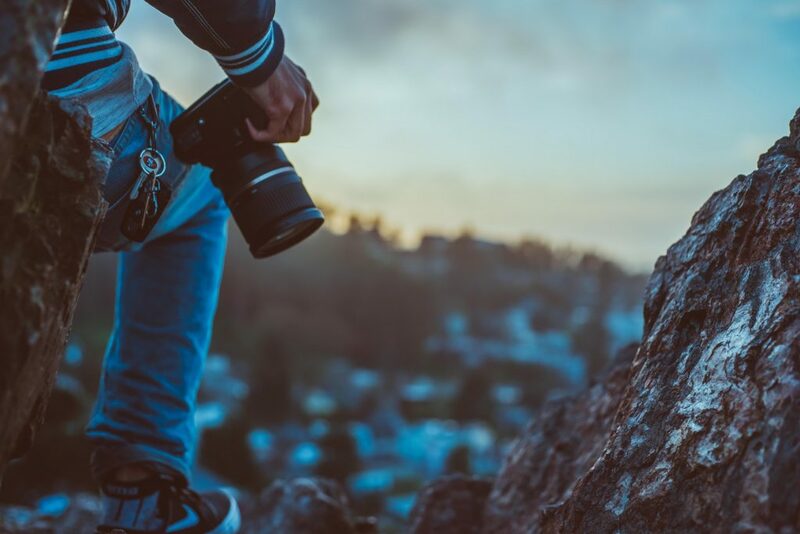 This can be an issue as most photographers use internet services, including social media, to gain notoriety and generate income. First, you must figure out whether or not the use of your copyright work is an infringement. Not every use of your work constitutes infringement, such as if the alleged infringing work only uses an insubstantial, unrecognisable and ultimately unimportant part of your work. Further, the use of your work may fall under a ‘fair dealing’ provision such as criticism or review. It is also worth making sure you are the owner of your particular image. For example, the work will not be yours in the case of employment if you have assigned copyright to the person who commissioned you for the work. Should you come to the conclusion that your work has been used without your permission and is infringing on your copyright, the next step would be to contact the person or organisation that has used your image and ask for redress. This may come in the form of monetary compensation, the immediate halt on use of the image or any other negotiated agreement between the parties. In instances where you find your work online, you may also have avenues for assistance with the third party site itself. Many sites, such as Instagram, have specific procedures or webforms for reporting copyright infringement. If there is still no resolution you may wish to consult legal representation. For example we here at Sharon Givoni Consulting can assist you with any and all copyright questions or matters you may have. In this digital era it is much harder than ever to protect your images from misuse. Image theft is a key issue for photographers as their images are their assets and their source of income. The amount of money, time and travel required to get the right shot involves a considerable investment. In order to get discovered, it is almost an unofficial requirement that your images are online, making them extremely vulnerable to misuse. However, there are methods you can implement to defend your work from copyright infringement. The first and probably most basic step is to make sure your copyright data is embedded into the photographs metadata. Metadata describes other data. It provides information about a certain item’s content. For example, an image may include metadata that describes how large the picture is, the color depth, the image resolution, when the image was created, and other data. It is important that at a minimum this information is attached to your digital work. Publishing your images online in low resolution form is one way of protecting your images. However, this is no preferable as many use social media and online platforms as a portfolio to showcase their work and thus this isn’t a good option for most. Watermarking is another option which isn’t highly favoured but has been making progress in recent years. Digimarc for Images, for example, allows users to embed invisible watermarks in their images and comes as a filters plug-in for Adobe Photoshop. Further, the Adobe Lightroom plug-in by Image Right and online software platform, Pixsy, scour the internet for infringing works. Some even provide a form of copyright registration and can seek compentionsation on your behalf (taking a percentage as payment for the services). Additionally, in Australia, the Australian Institute of Professional Photography can assist budding photographers. 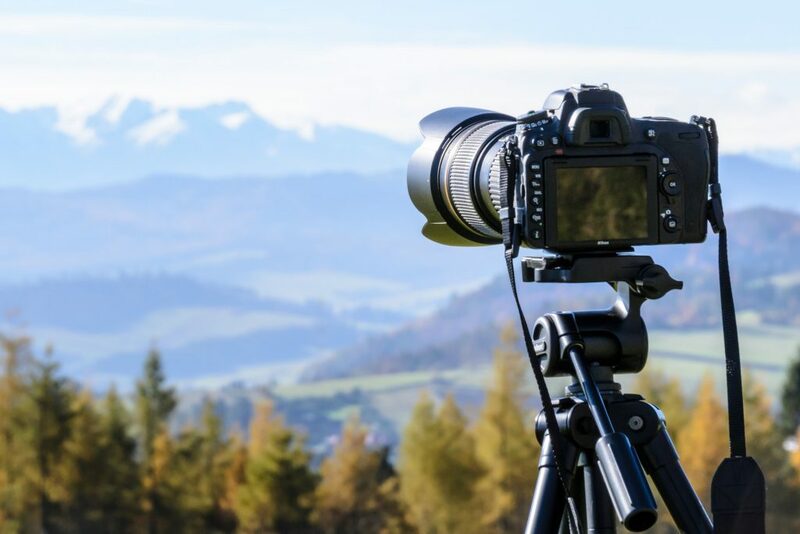 The organisation has an extensive history of standing up for photographers’ rights and is quite vocal on issues involving copyright infringement. They are more than happy to give advice and support to members. Enforcing your rights when your photographs are misused can feel like an uphill battle and to a certain extent it is. However, there are many methods to prevent misuse of your work, to chase misuse and if necessary to seek compensation in Court. For assistance with copyright issues of any kind, contact Sharon Givoni Consulting for a free 15 minute consultation or use the booking form below.